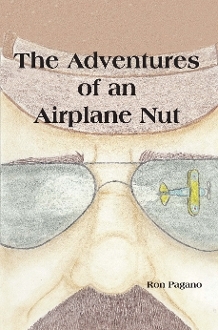 The Adventures of an Airplane Nut is the story of one man’s passion for airplanes and anything aviation related. It is about someone who has had the opportunity to fly in over one hundred different types of airplanes. These experiences range from flying in generalaviation Piper Cubs and WWII airplanes, to viewing the largest flying boat ever built, involvement in the flight of a car/plane hybrid, and witnessing the aftermath of a bizarre airplane murder/suicide. Both during and after his tenure as a flight-test engineer testing aircraft components built by Hamilton Standard, Ron Pagano found time to be an active member in the Experimental Aircraft Association and Warbirds of America, and the Airdale Flight-Line Operations crew at several air shows. Ron has had the opportunity to experience many unforgettable and exciting adventures throughout his career and entire life.